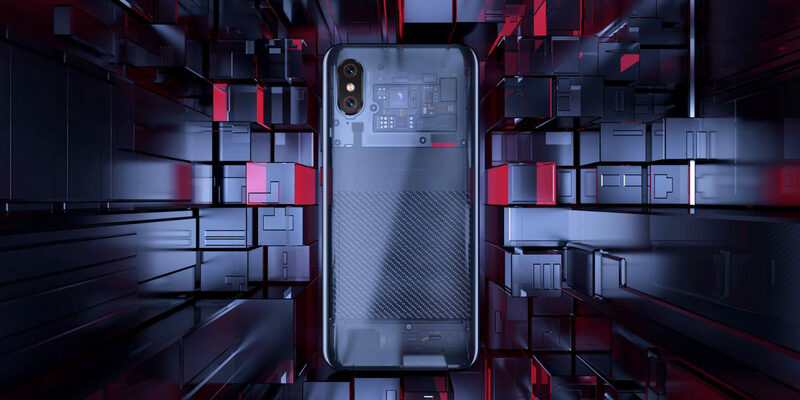 The Xiaomi Mi 8 Explorer Edition, which was announced back in May 2018, hasn’t been released to the market yet, whereas the other models, which includes Mi 8 and the Mi 8 SE have officially been launched. The Mi 8 Explorer Edition happens to be the most expensive phone of the Mi 8 series and it will apparently be available in multiple models, even though Xiaomi only unveiled the 8GB RAM paired with 128GB of internal storage earlier. Two versions of the Xiaomi Mi 8 Explorer edition surfaced on TENAA last week and according to the specifications, they will be more affordable than the model that was introduced at first. After the inclusion of the new variants of the Mi 8 Explorer Edition, all price ranges will be covered by Xiaomi. According to a new leak, the Mi 8 Explorer Edition will start retailing in China on July 24. The leaked invite given below also mentioned the starting price, which is 3699 yuan, making it approximately $550. It is not known yet if the Mi 8 Explorer Edition will be released outside of China by Xiaomi but we have a feeling that lots of international online stores such as Gearbest and others will end up stocking it for a much higher price. The regular Mi 8 flagship will release in Europe during the month of August, so chances are high that the Explorer Edition makes its way in the region too. 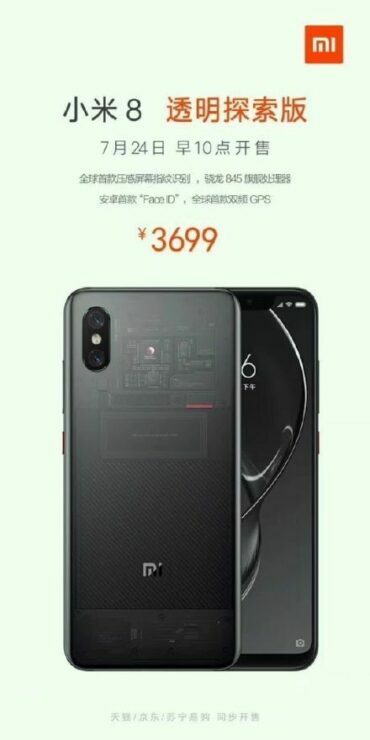 Apart from the fact that the Mi 8 Explorer Edition will have 8GB RAM and 128GB of onboard memory, what makes it different from the other phones in the family is that it has a transparent back panel and it houses 3D facial recognition technology coupled with an in-display fingerprint sensor. The Xiaomi Mi 8 Explorer Edition sports a gigantic 6.28-inch AMOLED display and it is armed with a dual 12MP camera system at the back and a 20MP shooter at the front. The leaked image hasn’t originated from Xiaomi’s official communication channels, so it is best to take this news with a grain of salt. However, now that Xiaomi has every certification it needs, the launch of the Mi 8 Explorer Edition is surely not far away.